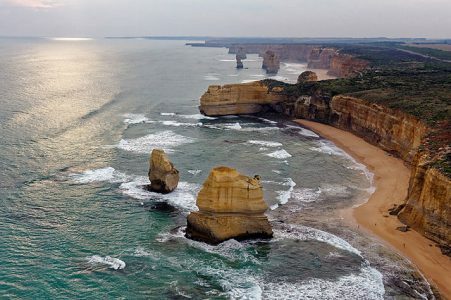 Treat yourself to a short break and discover Australia’s spiritual heart. Feel pure joy as you take an Avis self-drive journey from Alice Springs to Uluru and soak up the stunning expanse of the Outback. 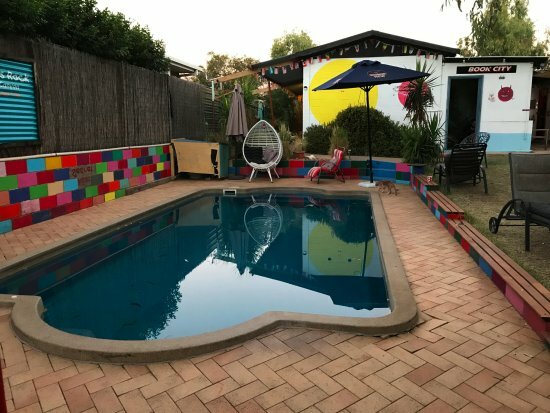 This enticing journey of 500 km from almost middle of Australia is filled with the wanderlust for remote and uninhabited places. Alice Springs is an incredibly famous town situated in the Northern Territory. On the other hand, Uluru-Kata Tjuta National Park houses the world-famous Ayers Rock which presents 36 weathered rock domes known as Kata Tjuta/The Olgas. The very sight of these extraordinary and age-old natural wonders, glowing and changing colour with the rising and setting sun, is an unforgettable natural phenomenon that stays etched in the mind. Hire a car rental in Alice Springs Airport from Avis in advance and head on the Alice Springs to Uluru drive tour route for discovering a whole new and mesmerizing world just the way you wish to. Always drive on the left side of two-way roads. All drivers and passengers in the car must wear seatbelts. 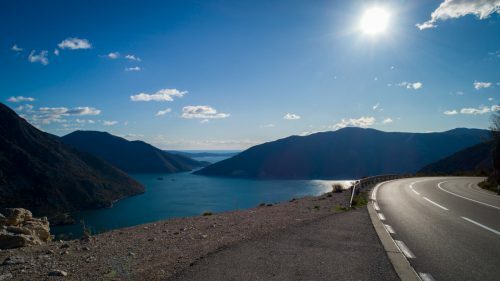 Follow speed limits strictly mentioned on different sections of the route. At present Alice Springs is a hub for all those interested in history wanting to learn more about Aboriginal Australia as well as the country’s “Red Center”. It is just a short distance away from nature’s spectacular show in its wilderness. Varying shades of red and orange of nearby gorges or the scenic view of the MacDonnell Ranges are sites not to be missed. When you finally reach Uluru, you will be surprised beyond measure by it’s majestic and ever-changing prismatic colours. Uluru is a traditional place that dances and sings on timeless folklore which brings out its rich indigenous culture and great spirituality. Your adventure begins with a road trip in Alice Springs to discover a site set amongst the MacDonnell Ranges and desert landscapes away from the hustle bustle of the city and its traffic.’Alice’ has a history of its own as it began from being a simple repeater station for the transcontinental telegraph line. You can hire a car rental in Alice Springs from the Alice Springs Airport and let the vision of stunning landscapes tease your senses. You will love mingling with the local communities and get to know their history. Make your way to the Todd Mall to appreciate the art and stories of the local Aboriginal Arrernte people. Try and board the Alice Wanderer bus for a fun off tour and unravel the historic site from the perspective of legendary explorers, cattlemen, prospectors, and pioneering women. There are plenty of other things to do in Alice Springs along with adventure activities that range from riding a bike to Simpsons Gap to surveying the MacDonnell Range through the cockpit of a helicopter. Also, keep the exploration of working cattle station as a part of a quad bike safari on your to-do list. 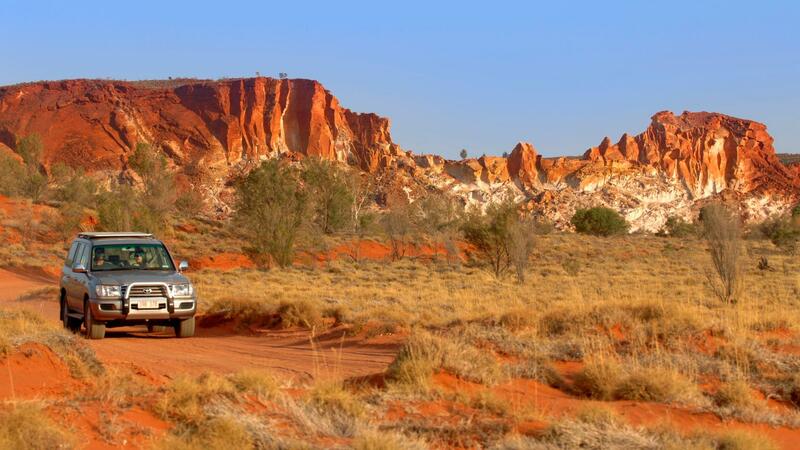 Begin your journey just out of Alice Springs at the Desert Park towards West Macdonnell National Park. Discover the astounding variety of creatures and plant life of the Northern Territory. 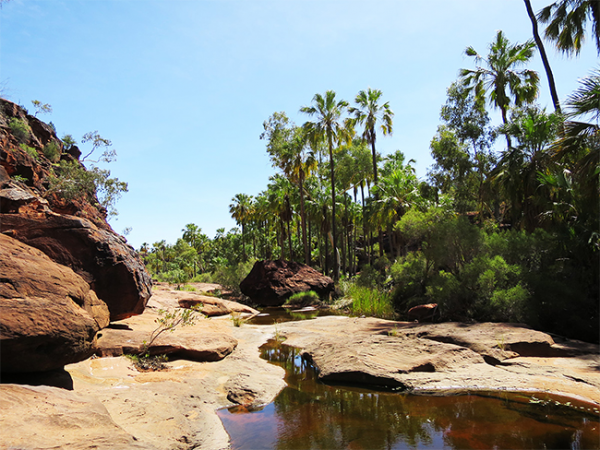 The N’Dhala Gorge has ancient rock carvings by Arrernte people which may interest you. Mt Sonder is at the end of the Larapinta Trail in Macdonnell range and the highest point of the entire trail. As you continue your walk on the trail look out for the Grey-headed honeyeater, termite tunnels on spinifex, the nimble desert mouse, and magnificent pink flowers of the Mountain Hakea. 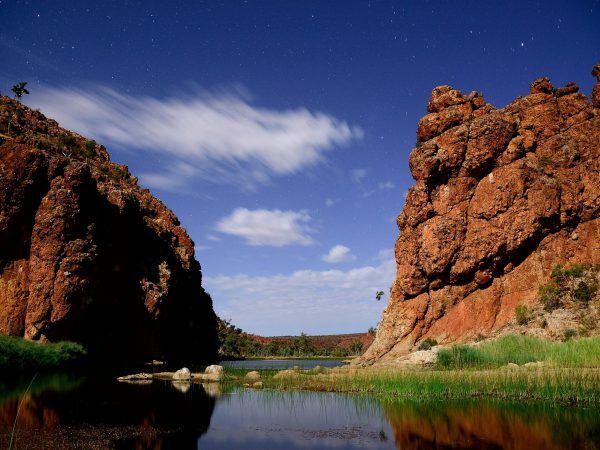 Other sites that are worth a catch on your journey through the West Macdonnell National Park include Standley Chasm that is privately operated and the permanent waterholes at Ellery Creek Big Hole, Ochre Pits, Simpsons Gap, Ormiston Gorge, and Glen Helen. Take your Alice Springs to Uluru self- drive journey in Avis car towards Finke Gorge National Park. Here, you will discover the primitive landscapes of the National Park which forms a principal wilderness reserve that preserves the Finke River dating back to 350 million years. 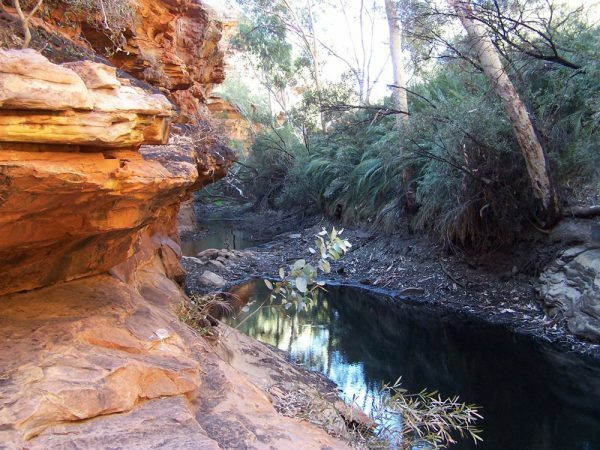 You can access this reserve only by the means of a four-wheel-drive of 98 km from West Macdonnell National Park. Exotic ancient palms sit in an imposing desert oasis known as Palm Valley which is the only place where the Central Australian wild cabbage palm grows. For true nature enthusiasts, it is a site worth checking out. If you need to stretch your legs a bit after driving, there are a number of walking tracks present in the area with an easy 45-minute return track to Kalaranga Lookout through the Mpaara and Mpulungkinya walks. For those who are keen and experienced four-wheel drivers, feel the hair-raising adventure on the popular Finke Gorge National Park four-wheel drive route. The trail takes you down the Finke River to Illamurta Springs Conservation Reserve and promises to be a memorable ride. 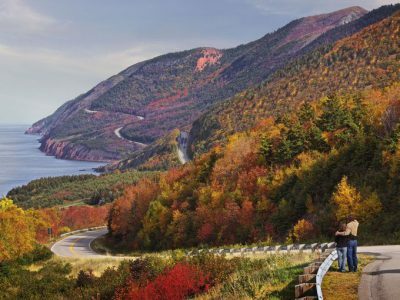 Get your hiking boots ready to explore the park on foot through a network of trails. Watarrka National Park is about 160 km from Finke Gorge National Park encompassing the western edge of the George Gill Range. The most prominent attraction of this place is the magnificent and grand Kings Canyon which has the deepest gorge in the Red Centre. You shall find extremely steep sandstone walls rising to a height of 100 m. At times it appears like they’ve been neatly sliced with a giant knife. At the bottom of the canyon, you shall find permanent waterholes that is a shift from the otherwise dry landscape. As you proceed to the upper part of the gorge, the Garden of Eden awaits you with its charming lush green vegetation. Ferns and Palms are what make this site so scenic and you can reminisce a time when the whole place was covered by a rainforest. The Lost city lies on a plateau above the canyon. When it begins to rain, the wildflowers bloom that adds splashes of colour to the red earth making it a spectacular view. Your Alice Springs to Uluru self-drive road will finally take you to the last destination – Uluru (also known as Ayers Rock). 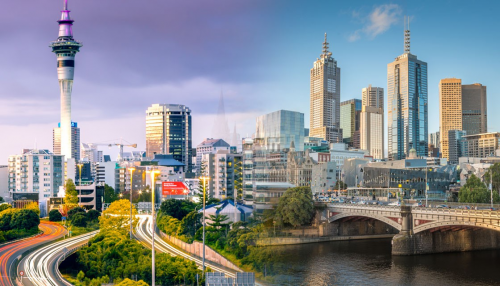 It is a World Heritage-listed site and one of Australia’s most iconic symbols. 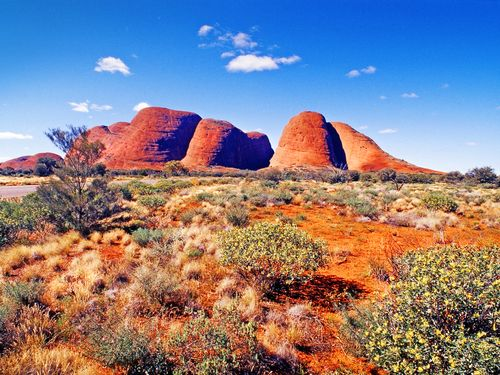 Famous Australia’s Red Centre can be found right in the heart of Uluru-Kata Tjuta National Park. Its ancient landscape is rich in Australian indigenous culture and spirituality. 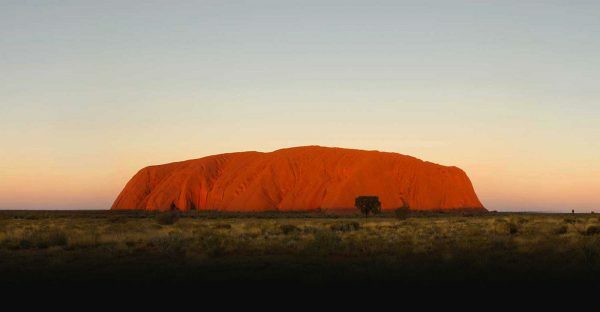 You shall find numerous ways to experience the grandeur of Uluru and its unique desert landscape. Go for a walk along with an Aboriginal guide in the Uluru-Kata Tjuta National Park to figure out its ancient traditions and stories from the ancient times. 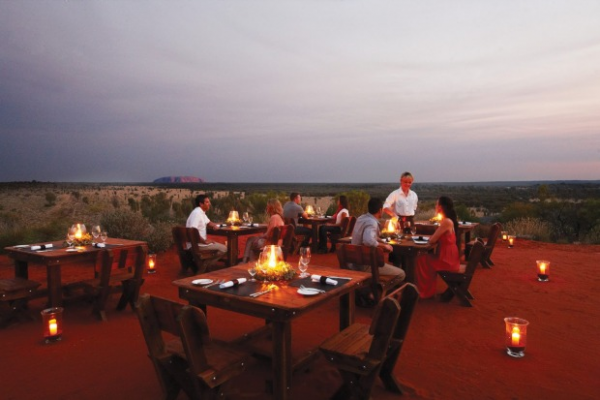 There are plenty of things to do in Uluru. 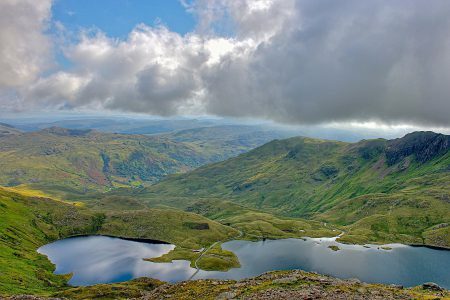 Discover the beauty and glory of this site from the skies above through a helicopter or a hot air balloon. Take a splendid ride across the ochre-coloured desert the back of a camel. Sunrises and sunsets are so phenomenal that they can’t be missed in any case. 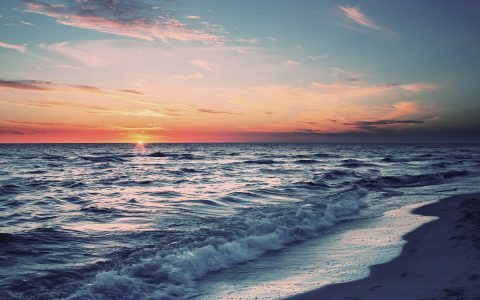 During different times of the day, the colours of the magnificent scenes change from pink to purple to dark red, while the sky reflects a gorgeous array of colours. There is a possibility of climbing Uluru but its traditional owners don’t due to great spiritual significance and even request the tourists not to do so either. 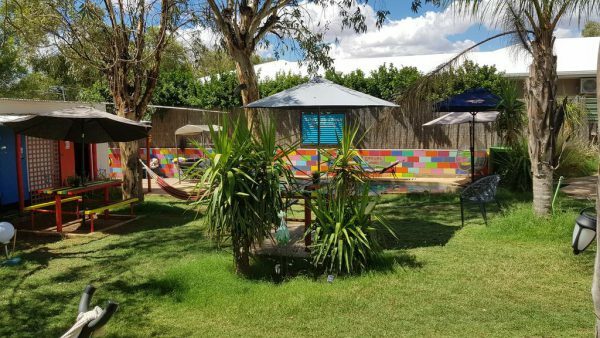 Set amongst native plants in a colourful garden with cobblestone paths, this offbeat hostel has bright private rooms with free Wi-Fi, shared washrooms and air-conditioning. Tea, coffee an parking are free with other facilities like shared kitchen, TV lounge and an outdoor pool. It is 8 km away from Alice Springs Desert Park. 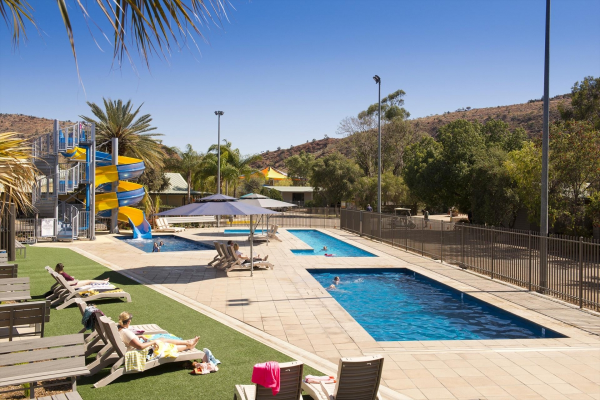 BIG4 MacDonnell Range Holiday Park is a renowned hotel known for its charming surrounds, cooperative staff, comprehensive provisions, and its famous Pancake Breakfast every Sunday throughout the year. With accommodation options that suit every budget and its picturesque location away from traffic make it the perfect hotel destination. 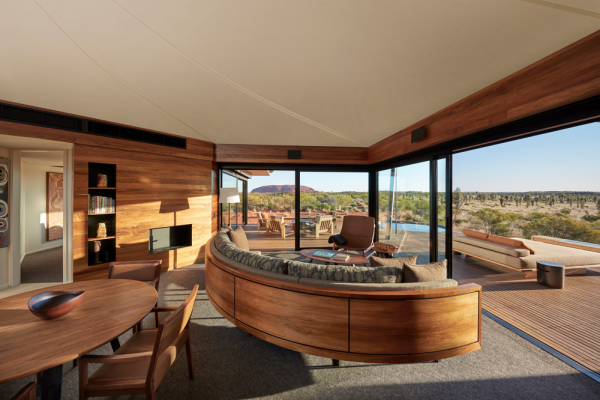 It is a luxury desert basecamp at Uluru-Kata Tjuta, offering a conventional experience of Australia’s spirited heartland. Located near the world heritage wilderness, a stay here will be replete with privacy, tranquillity and luxurious spaces for you to relax in your own style. This eating joint combines the love for the humble burrito and fast fresh healthy food. They craftily combine Tex-Mex along with custom Mexican recipes. 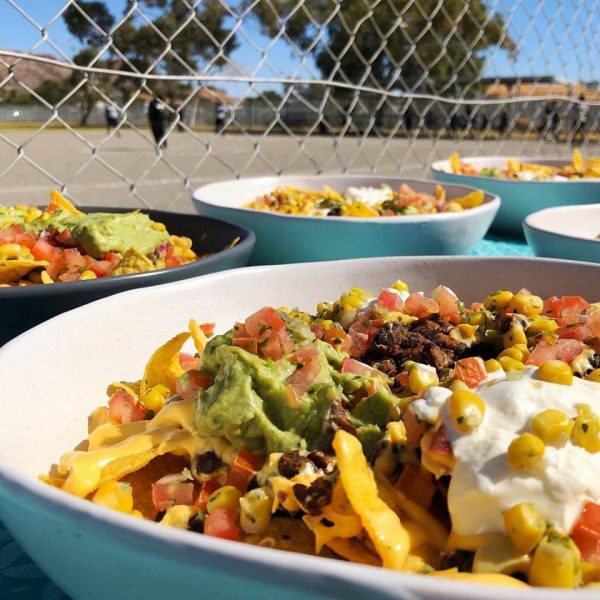 The Tacos, nachos and burritos are made from the freshest ingredients every day. They make even the casual dining experience very special. This eating joint uses native herbs for its exclusive four-course dinner. You can taste items like pressed wallaby with fermented quandong as an entree and pan-roasted toothfish with coastal greens for the main course. For dessert the chocolate with Davidson plum and lemon myrtle tastes sensational. Every dish comes with a premium Australian wine. Experience barbeque gatherings with sizzling sounds of the meat, fish or vegetables being cooked. 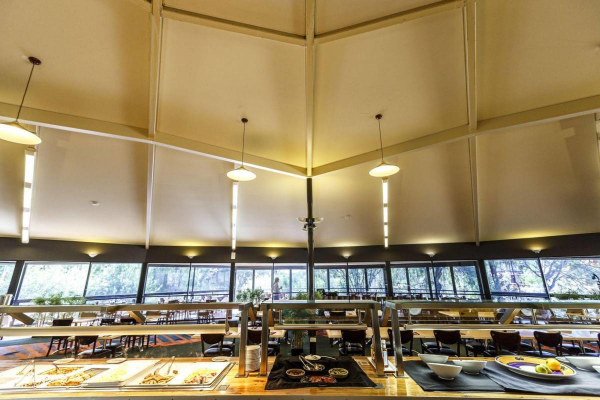 There’s live entertainment almost like in an auditorium with style tables and pews giving the entire set-up a quintessential Australian experience bringing guests together from all the nearby resorts camps and lodges. Leave the mundane for a while and get your backpack ready for the Alice Springs to Uluru self-drive road trip by renting a car from Avis with the people you love. We can assure you that it will be an extraordinary experience which you will cherish for the rest of your life. 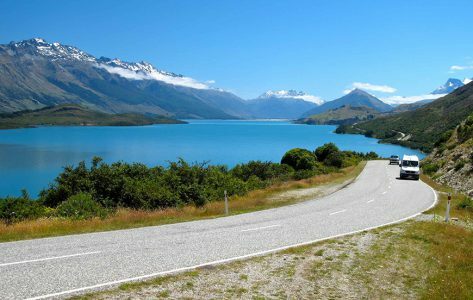 Previous These 22 best road trips in the world are exactly what you need!